A friend of mine took this photo of me and Peter Jensen. 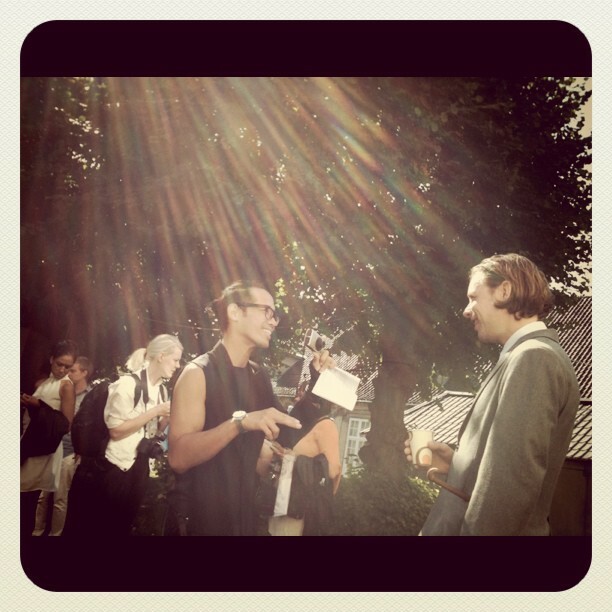 I was ambush interviewing Peter Jensen during the reception of his Muses exhibition at the Designmuseum Danmark in Copenhagen last August. Indeed, a very surreal moment. Until now I couldn't believe I've chatted with one of the people who I look up in terms of overflowing creativity and tremendous talent. Life is all about happiness.And gifting presents are the best ways to say that you care.There are some of the fine gifts like pop-up arts & sculptors of Lord ganesha and Goddess Durga etcenhance the peace of any indian house.Especially, with changing trends of fashion, internet has paved way for online gift shop in india.It is also justified when Indian fashion and one's life is changing at a rapid pace.